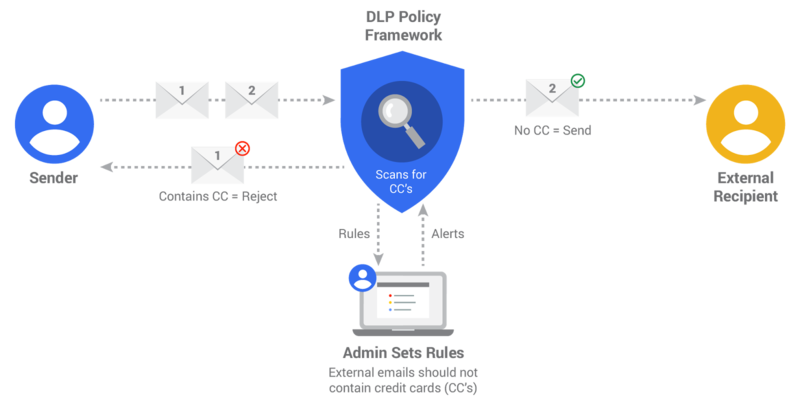 Starting today, if you’re a G Suite Unlimited customer, Data Loss Prevention (DLP) for Gmail will add another layer of protection to prevent sensitive information from being revealed to those who shouldn’t have it. Check out the DLP whitepaper for more information including the full list of predefined content creators, and learn how to get started. Gmail DLP is the first step in a long-term investment to bring rule-based security across G Suite. We’re working on bringing DLP to Google Drive early next year, along with other rule based security systems. To verify the good work we do on privacy, we were one of the first cloud providers to invite an independent auditor to show that our privacy practices for G Suite and G Suite for Education comply with the latest ISO/IEC 27018:2014 privacy standards. These confirm for example, that we don’t use customer data for advertising. We introduced Security Keys to make two-step verification more convenient and provide better protection against phishing. For admins, we released G Suite identity services, which allows secure single sign on access with SAML and OIDC support and we delivered device (MDM) and app (MAM) Mobile Management across G Suite. We introduced new sharing features, alerts and audit events to Google Drive for G Suite Unlimited customers. For example, administrators can now create custom alerts and disable the downloading, printing or copying of files with Information Rights Management (IRM). New sharing settings give employees better control within their organization unit and now admins can let them reset their own passwords.